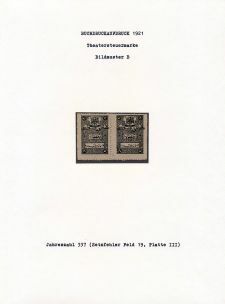 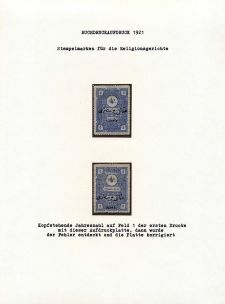 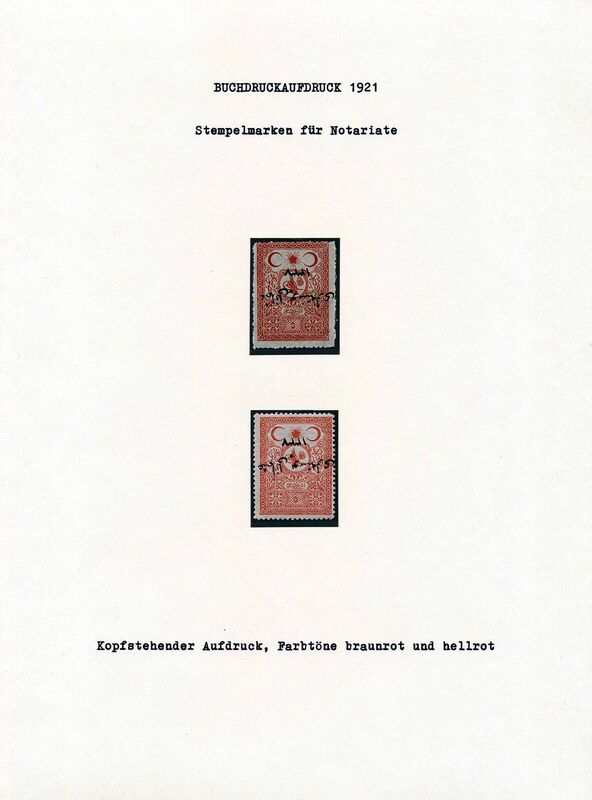 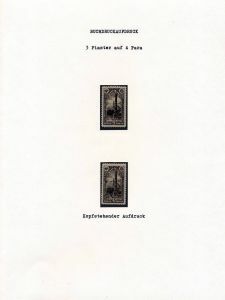 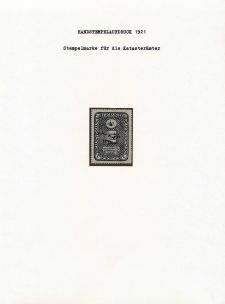 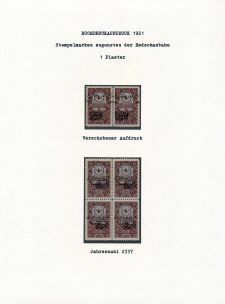 on 80 pages put together by by a collector with a keen eye for quality, including most of the handstamped rarities: Michel 703, 704, 706-711, 714-15, 716, 718, 743H II, 719H-A721, 728H-A730, 727H, 733H, 734H, 735H, 736H, 737, 738H, 743H (2), 752H (Michel catalogue value just of these few stamps 157.000 Euro), plus some Michel unrecorded great rarities like Isfila no.985 (unpriced), Mayo 87A (only 4 stamps known), Mayo 89 (only 3 known). 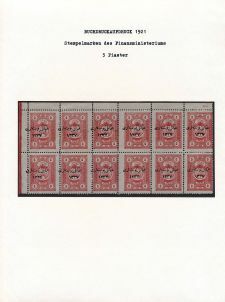 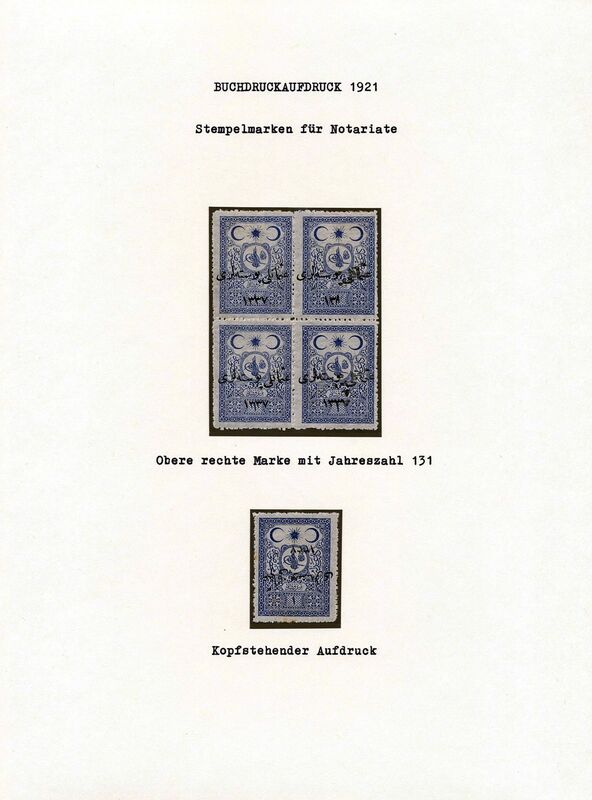 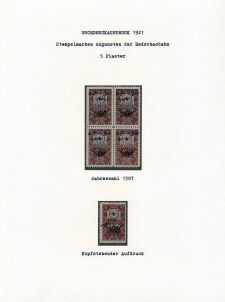 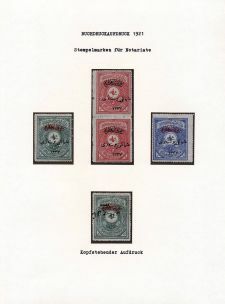 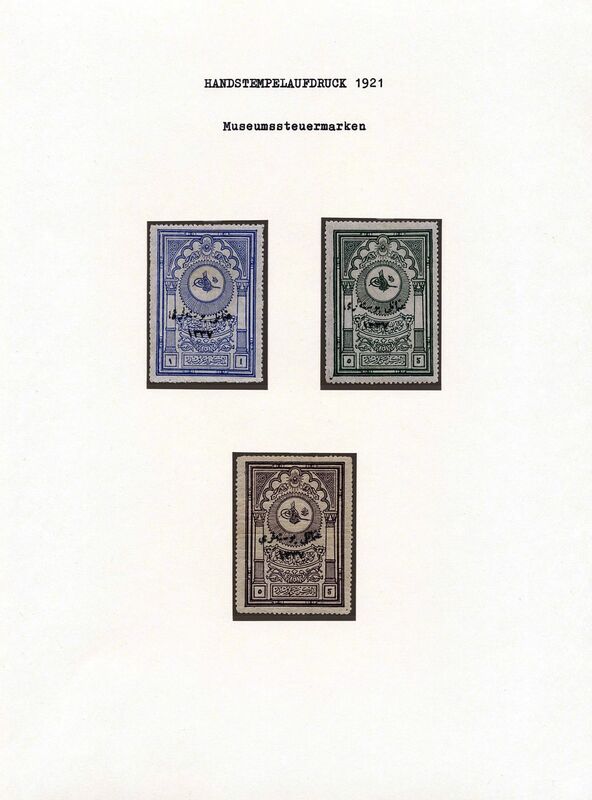 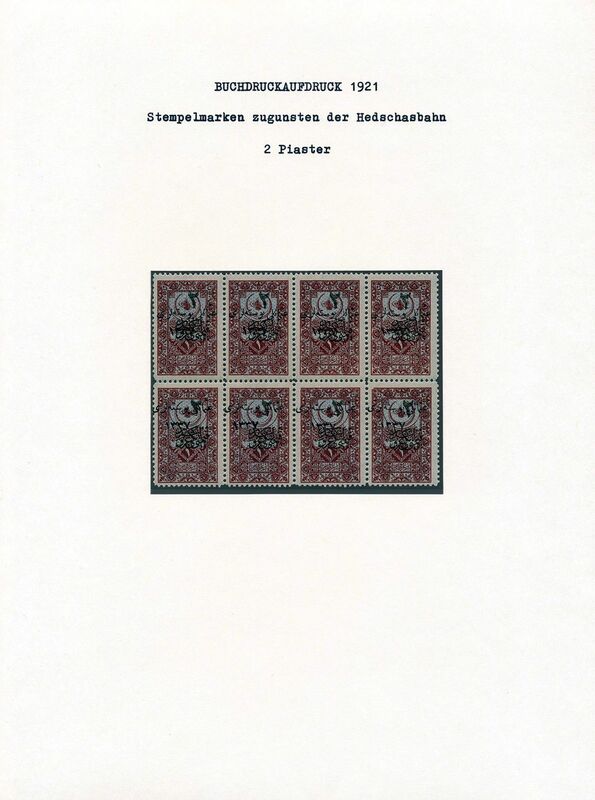 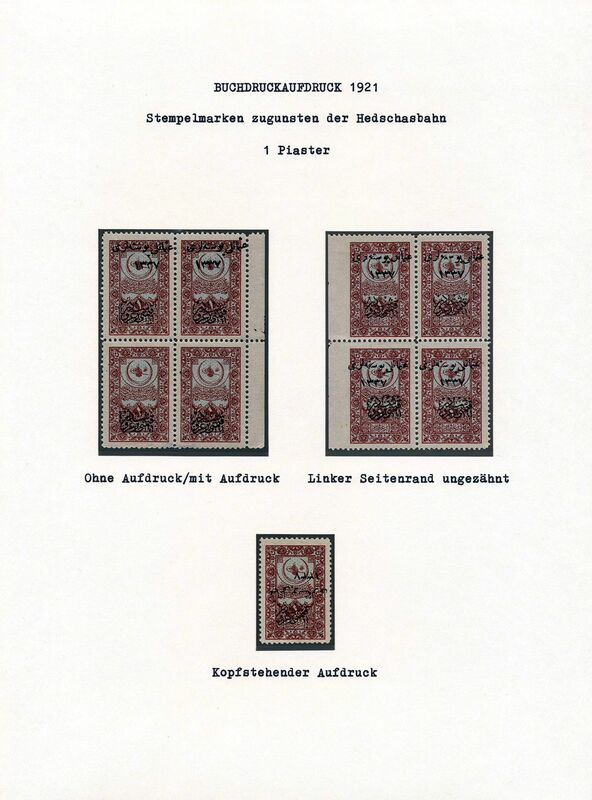 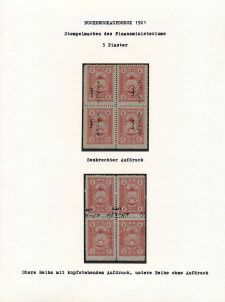 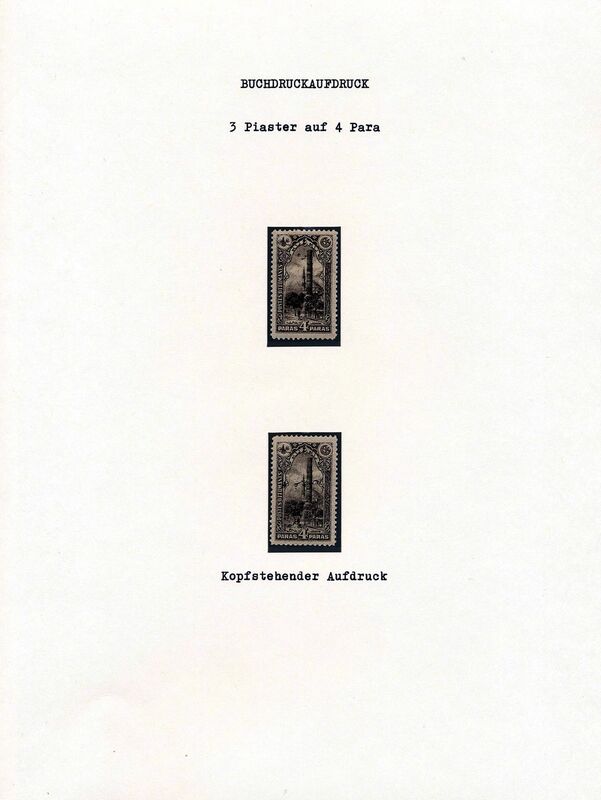 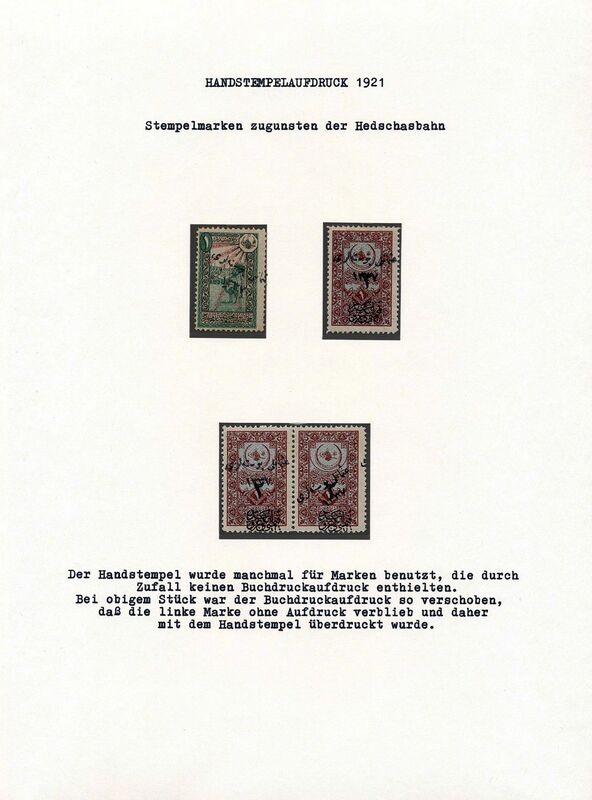 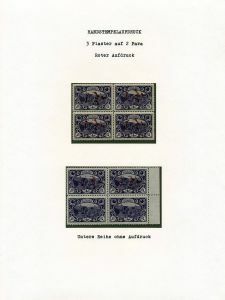 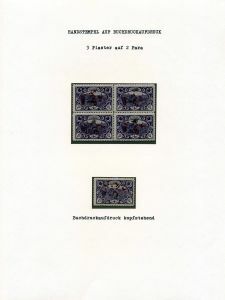 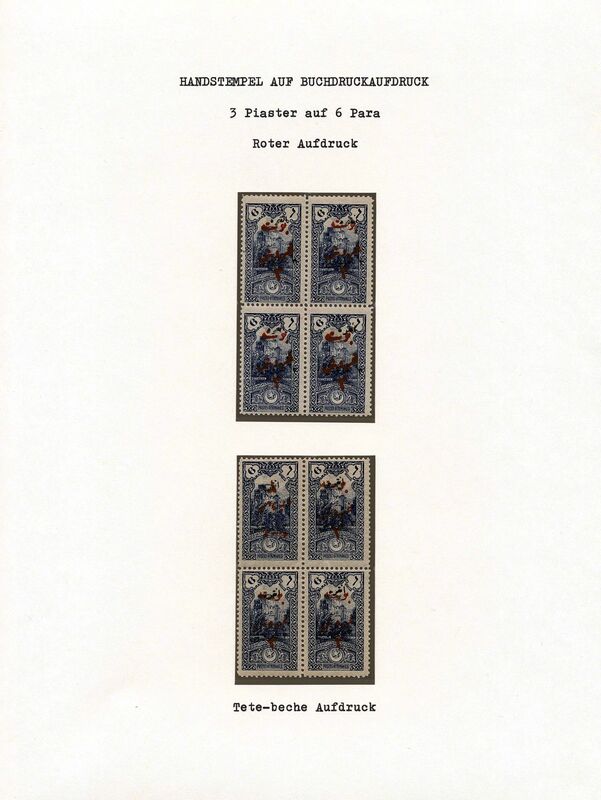 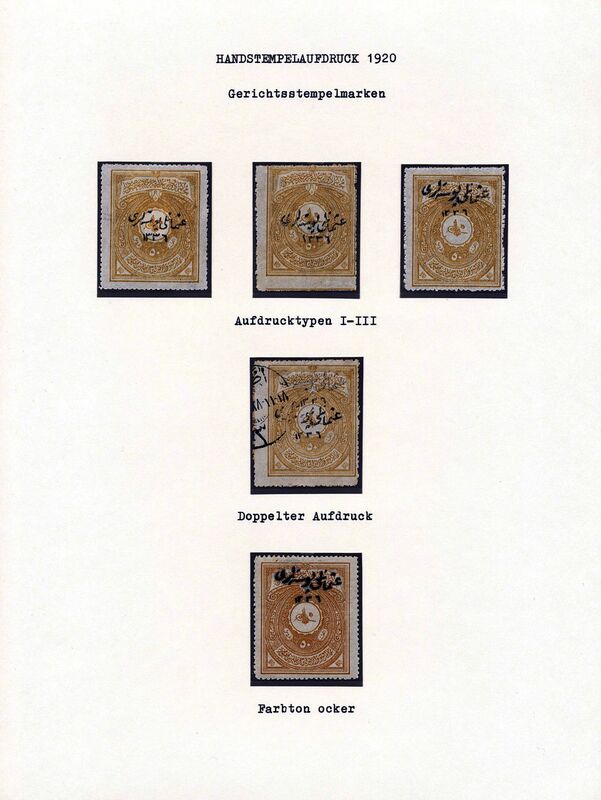 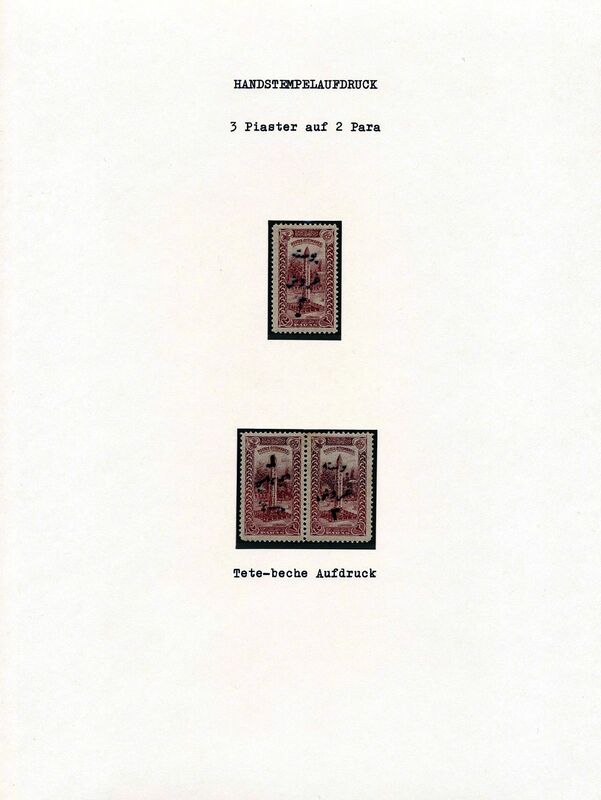 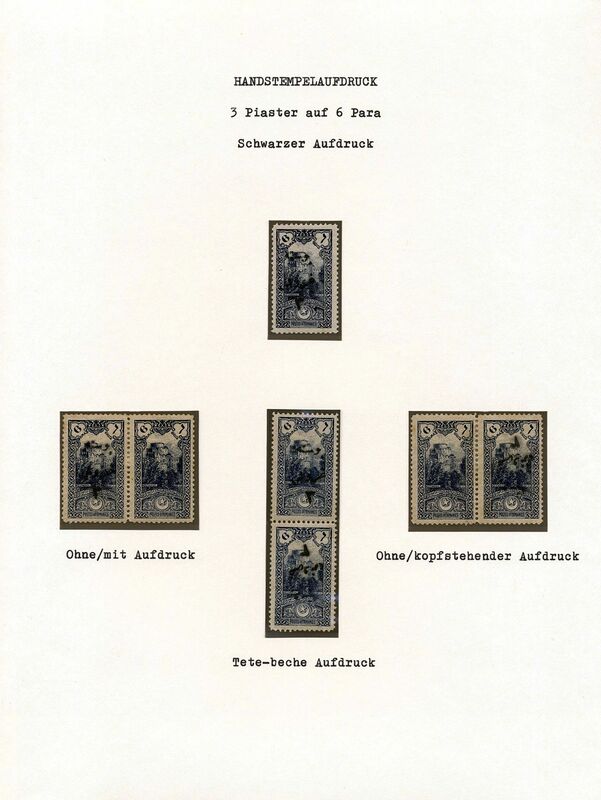 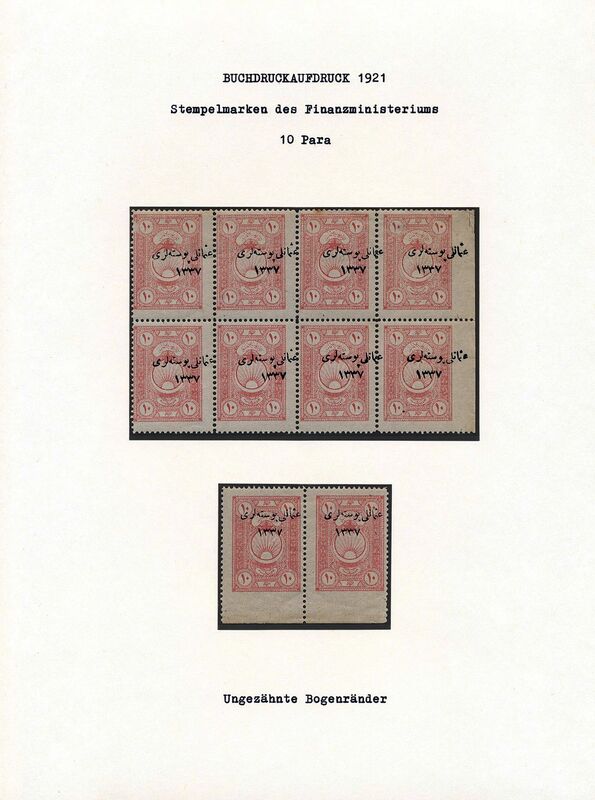 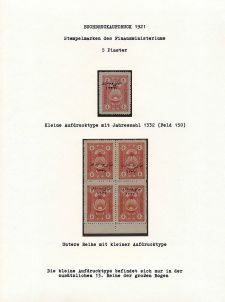 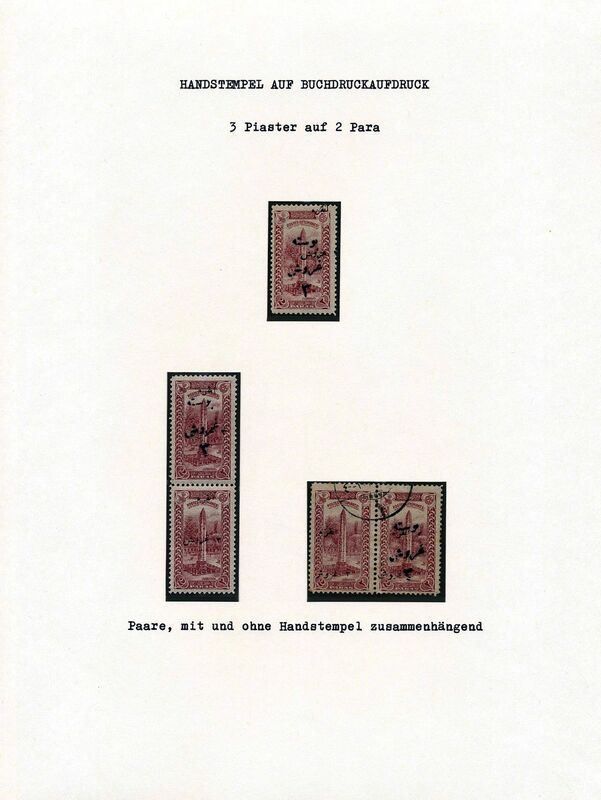 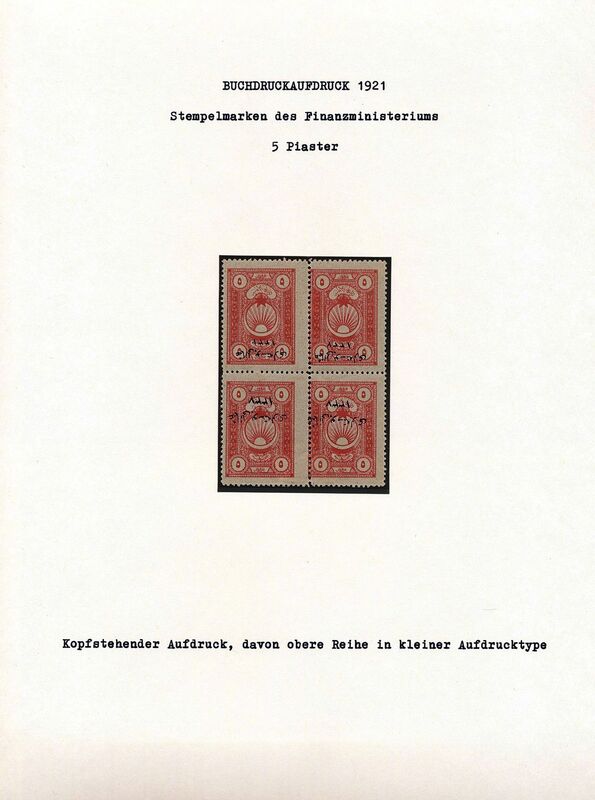 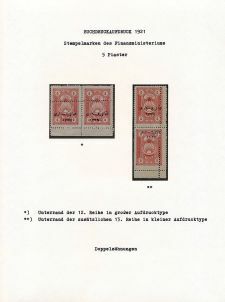 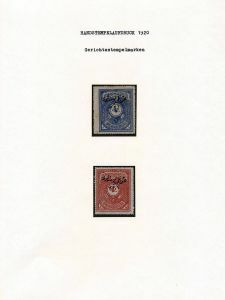 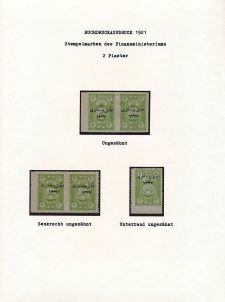 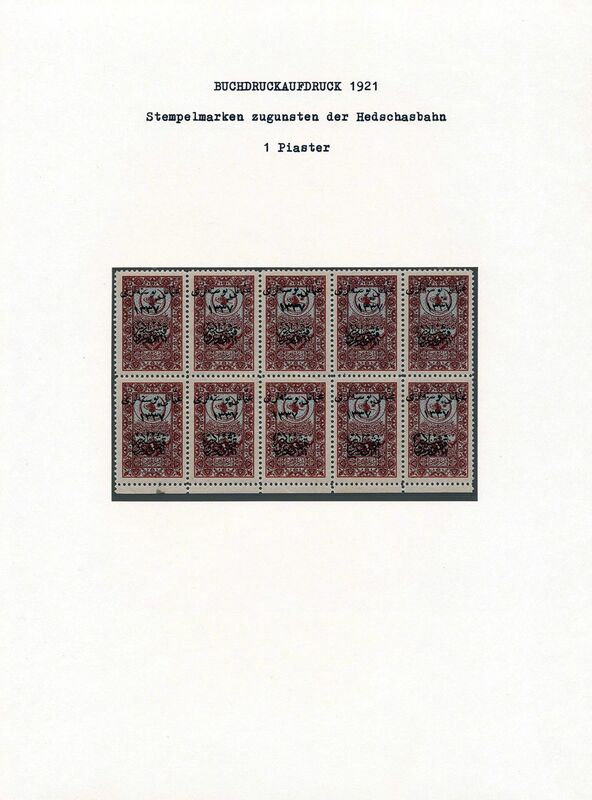 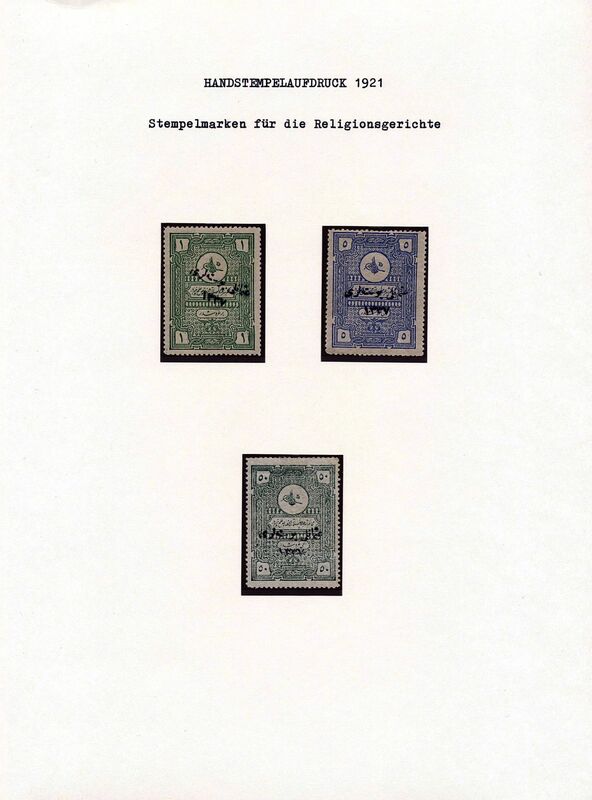 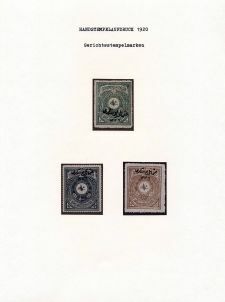 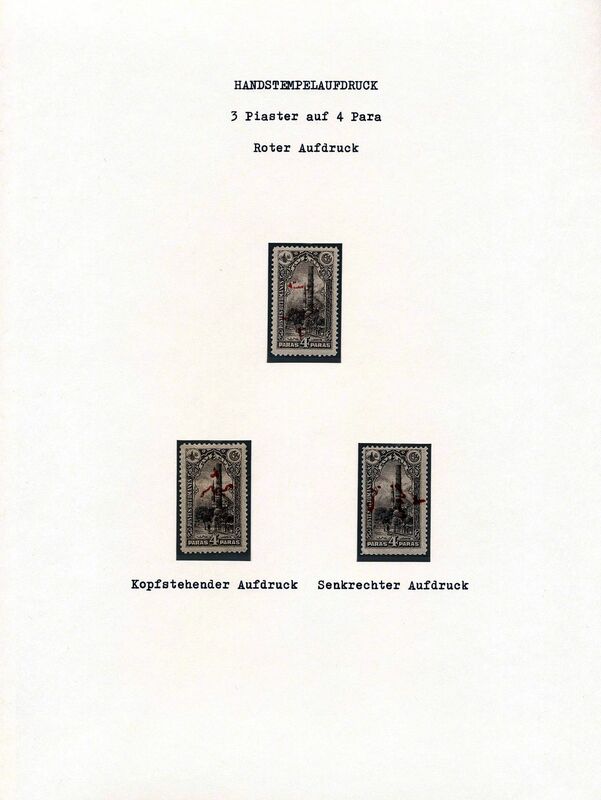 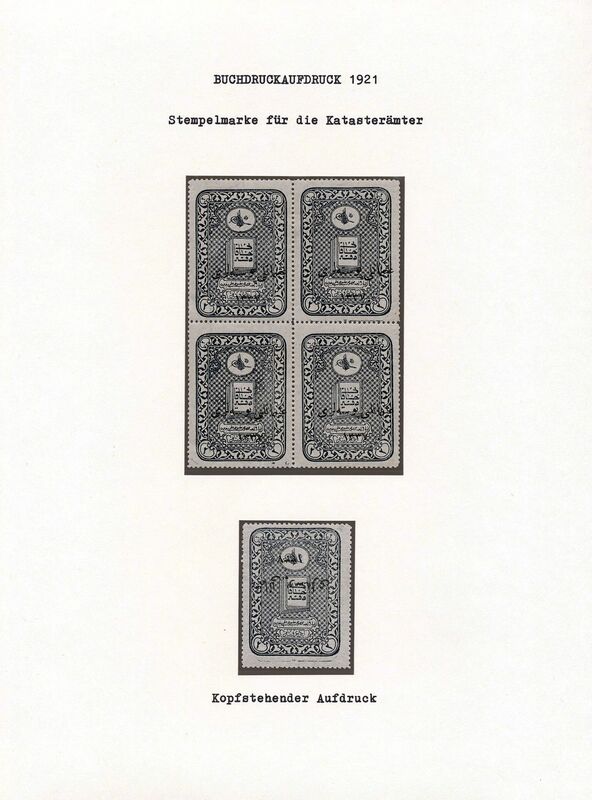 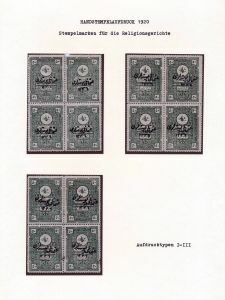 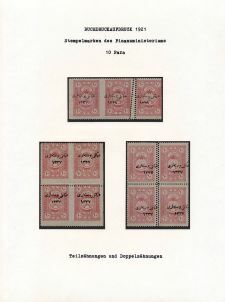 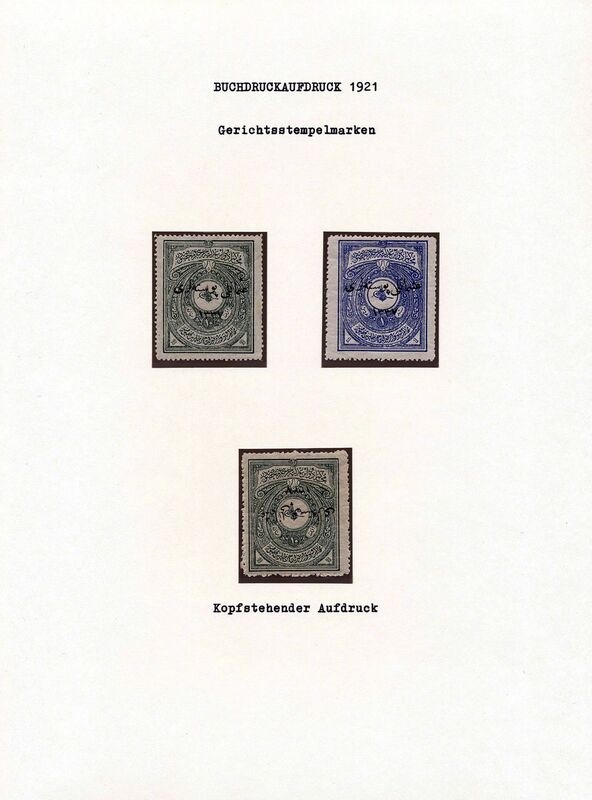 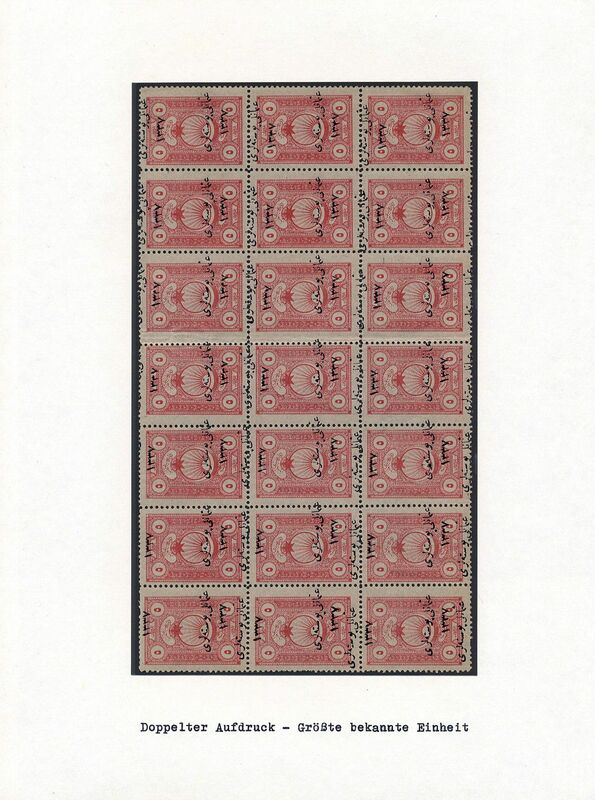 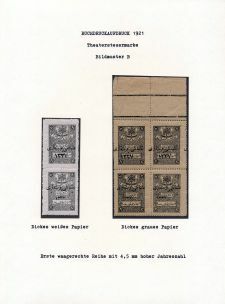 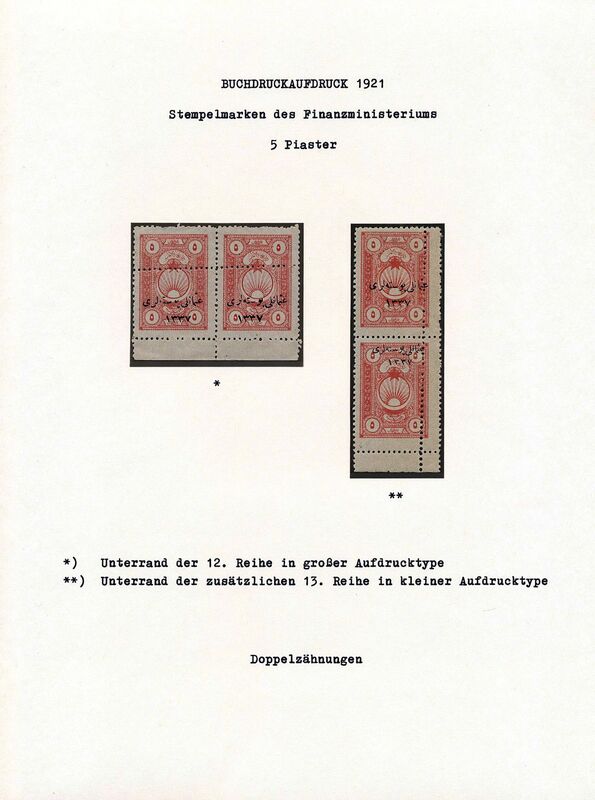 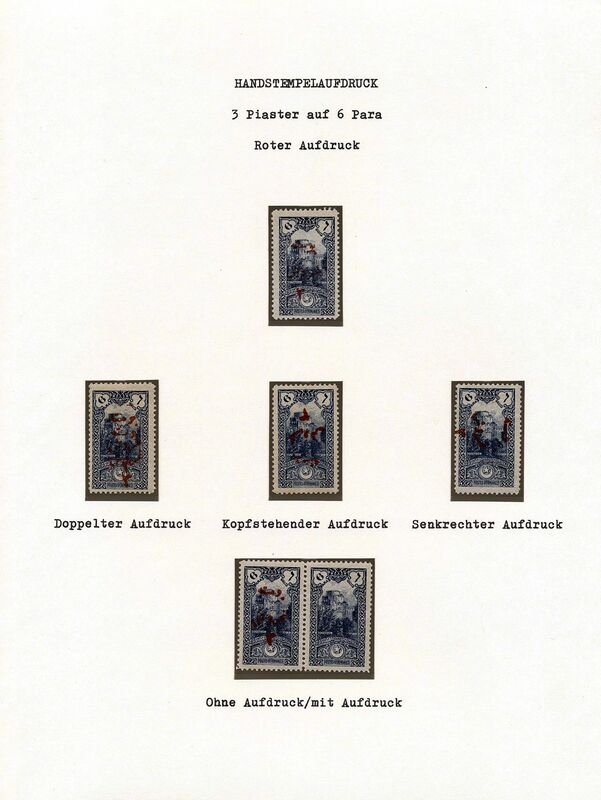 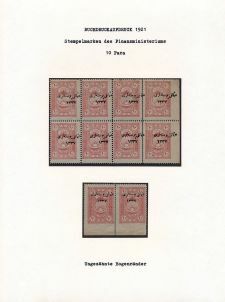 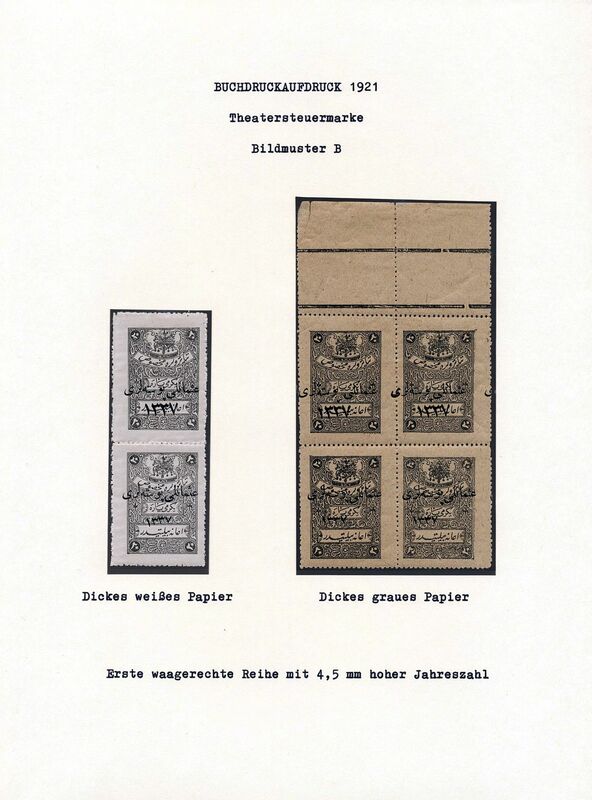 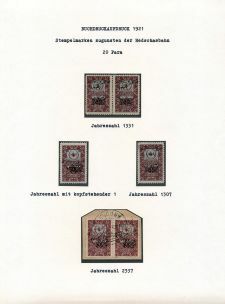 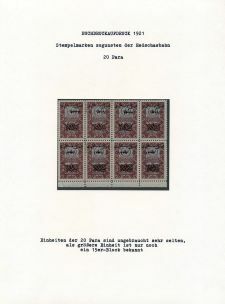 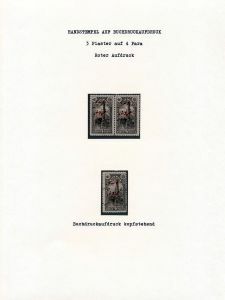 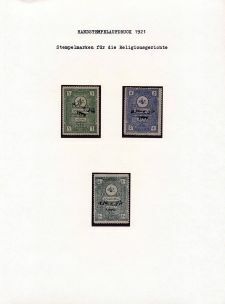 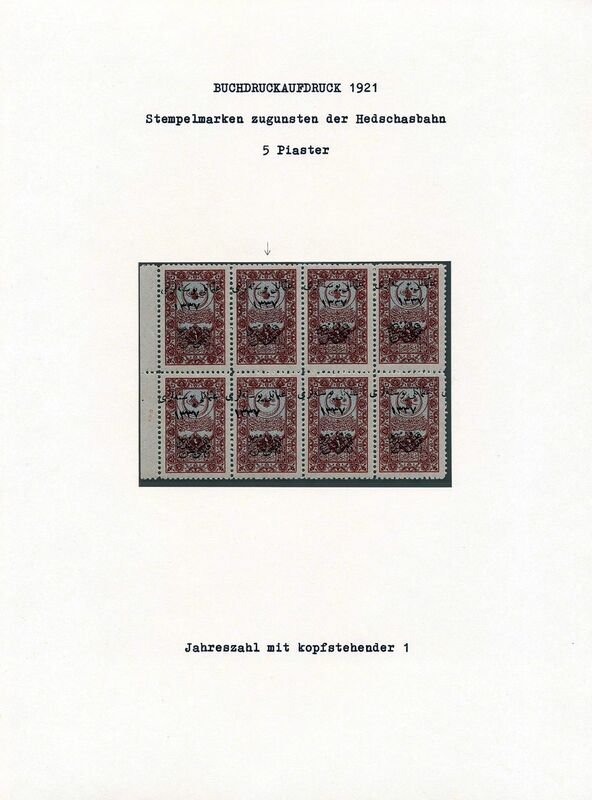 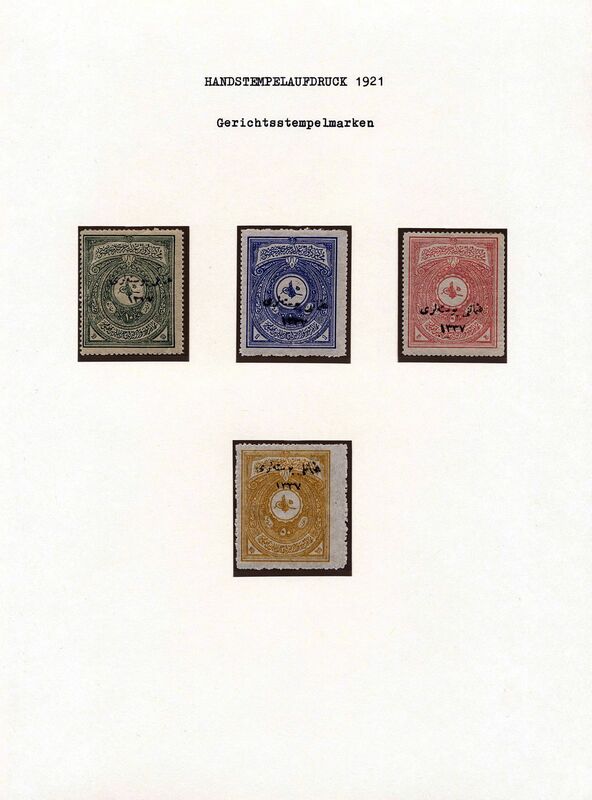 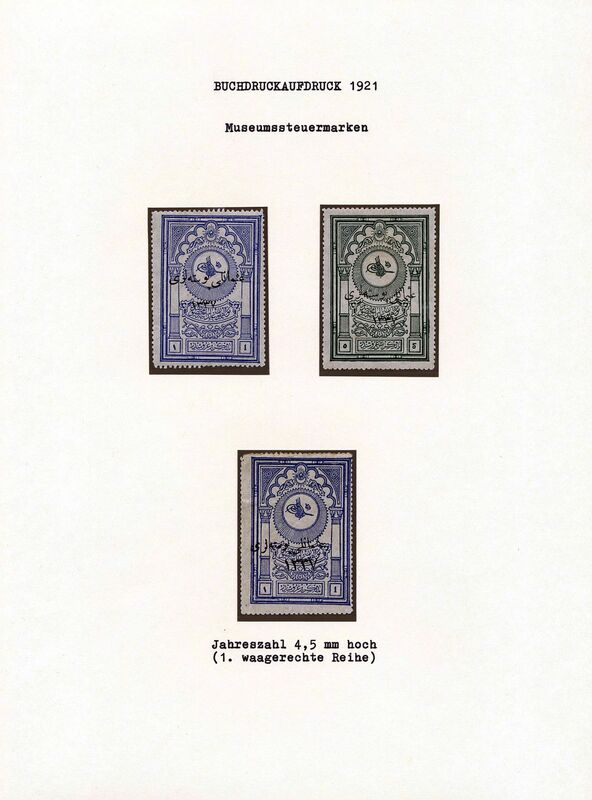 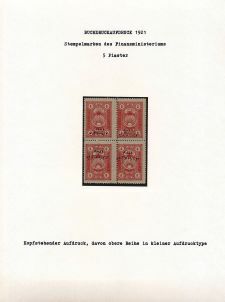 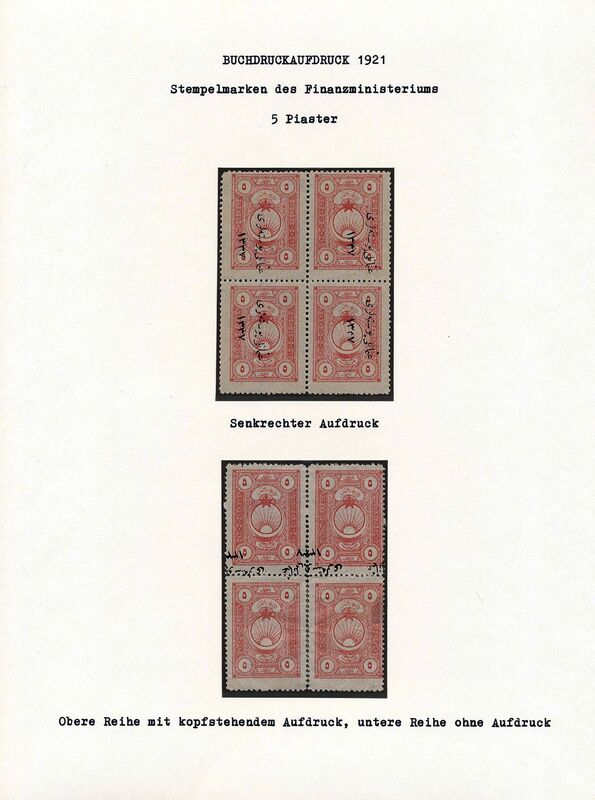 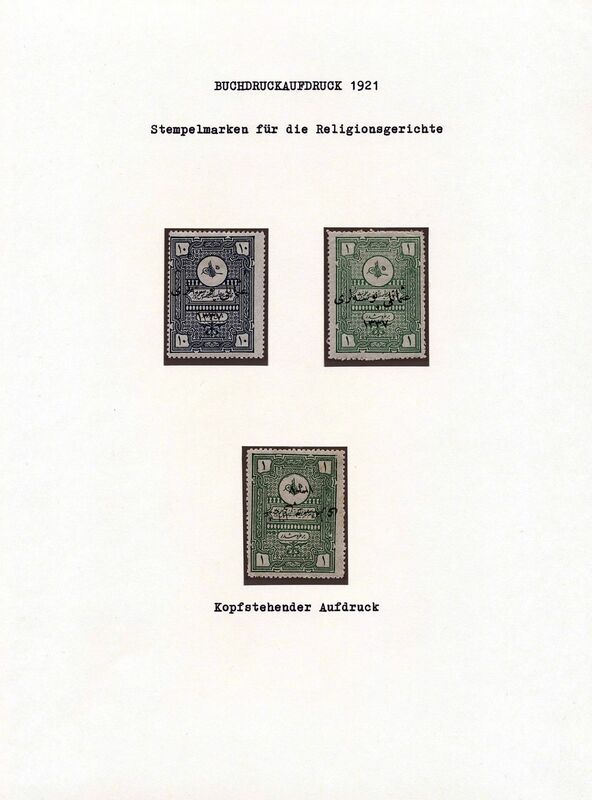 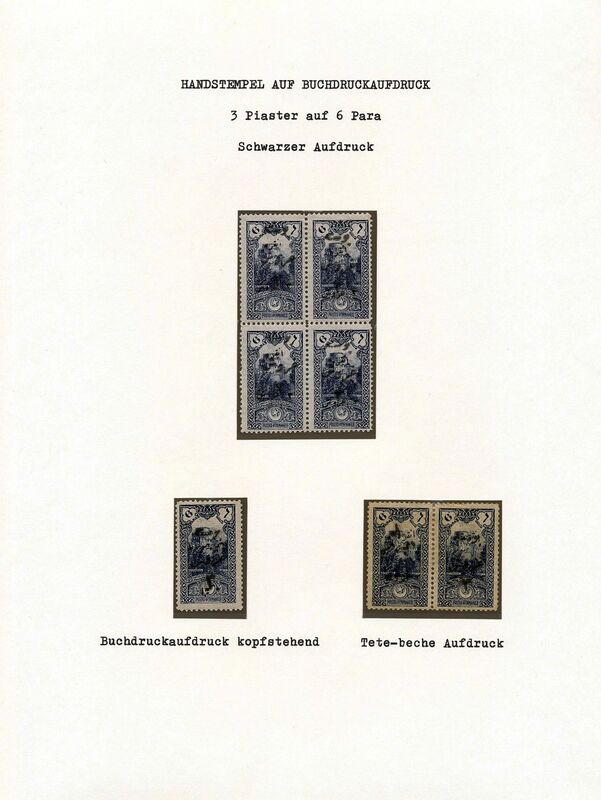 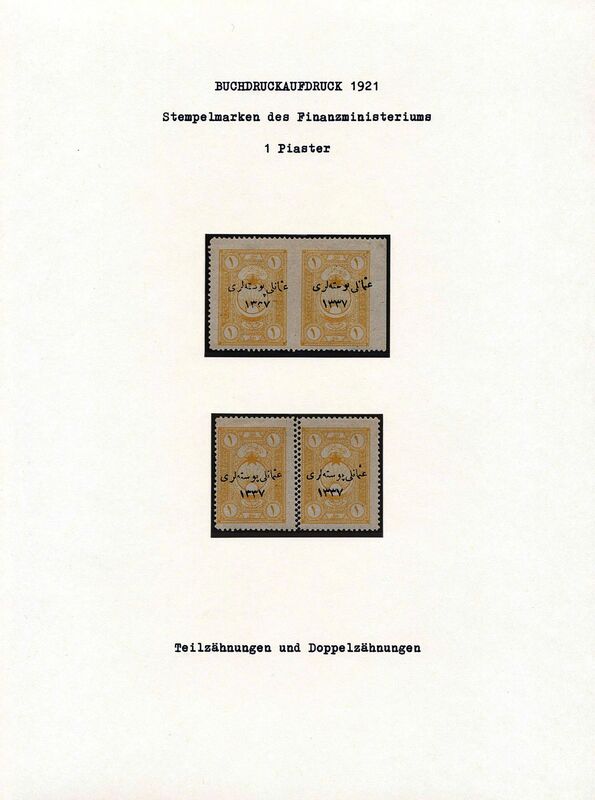 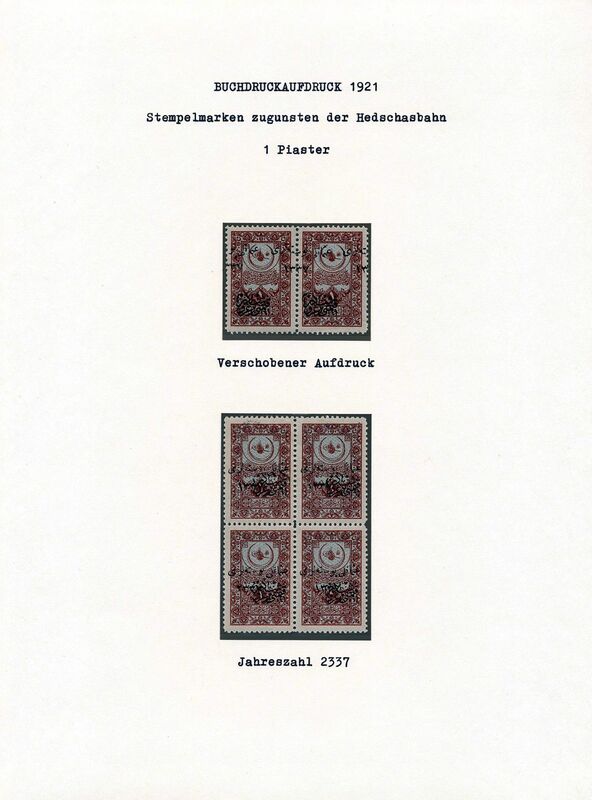 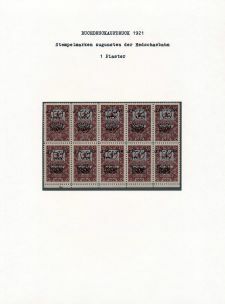 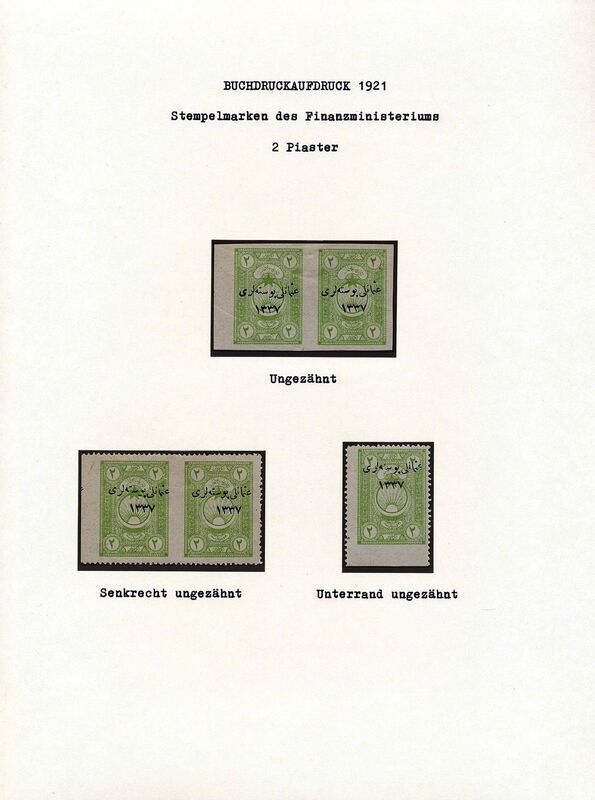 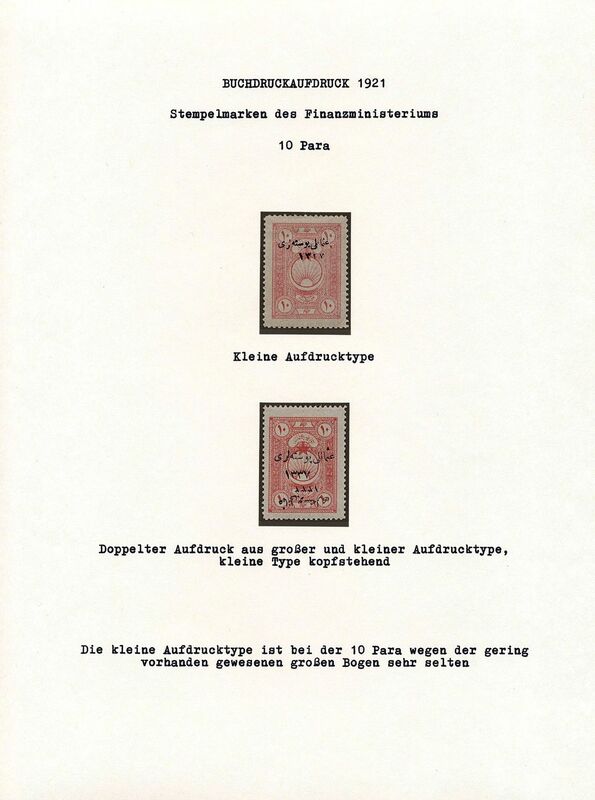 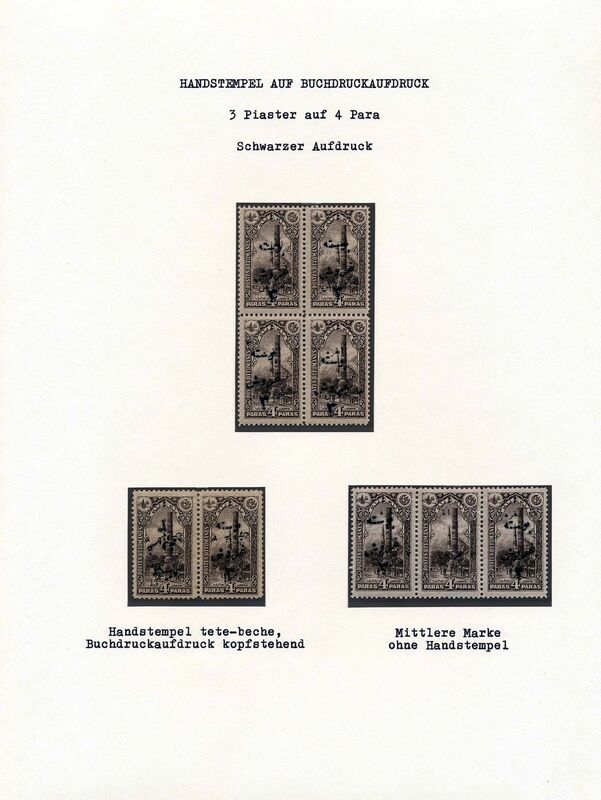 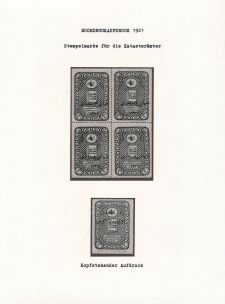 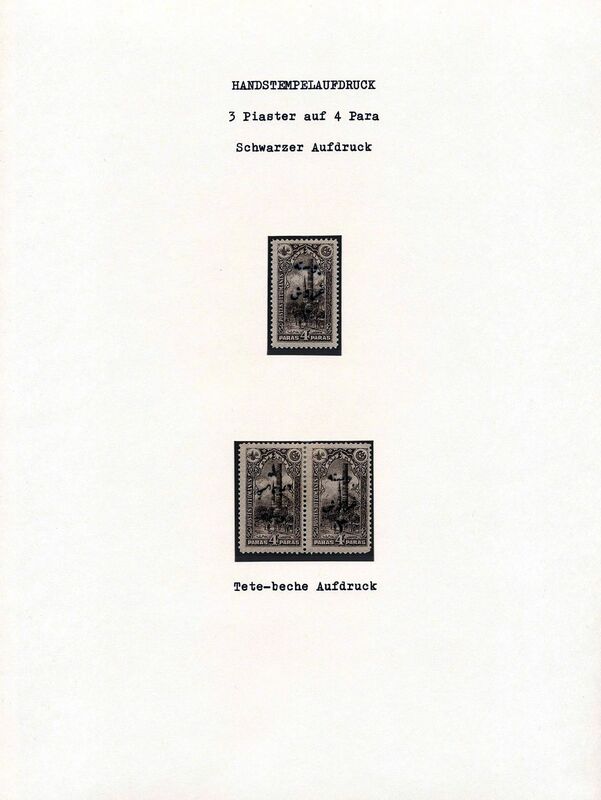 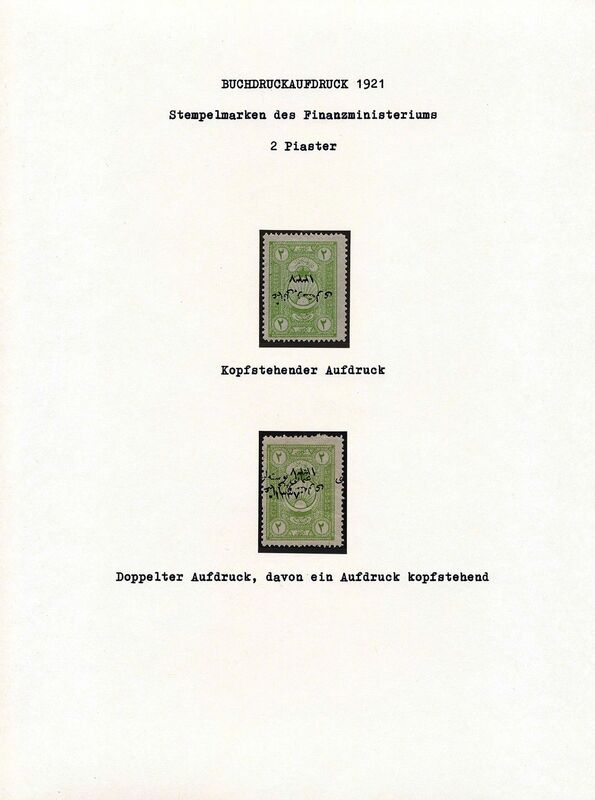 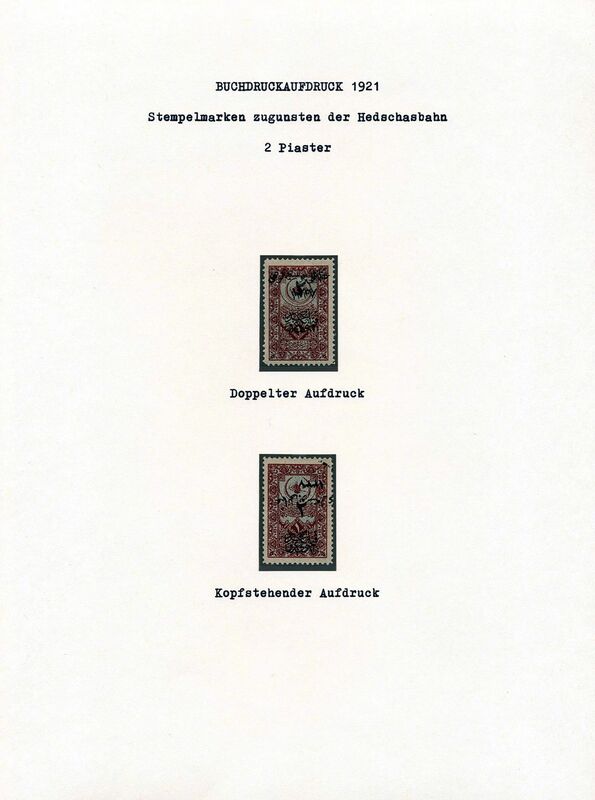 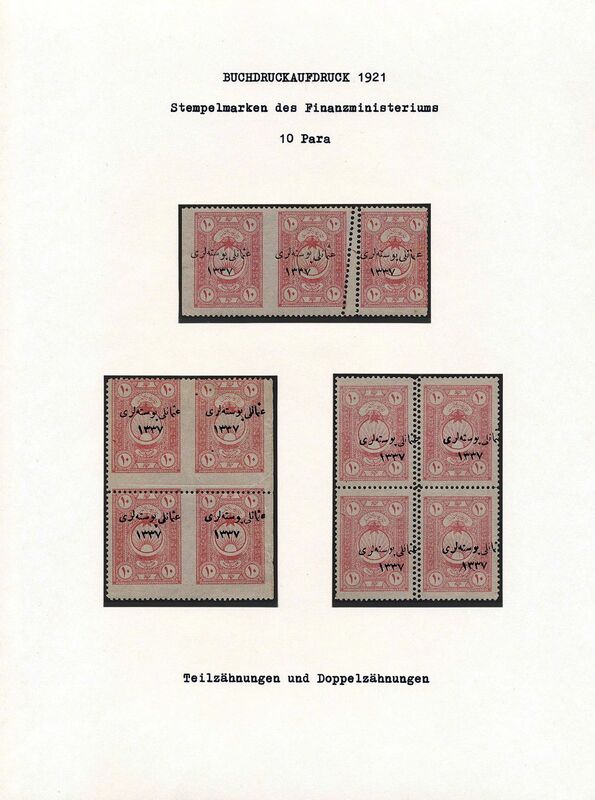 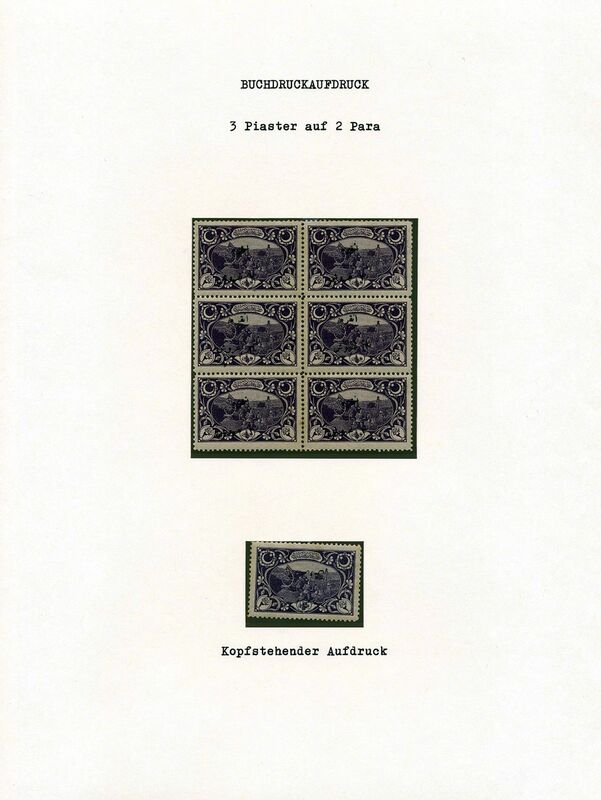 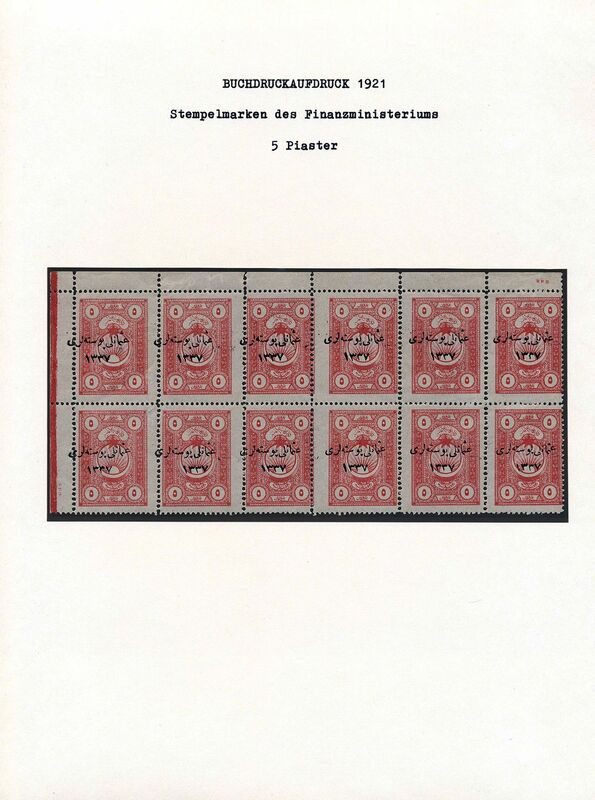 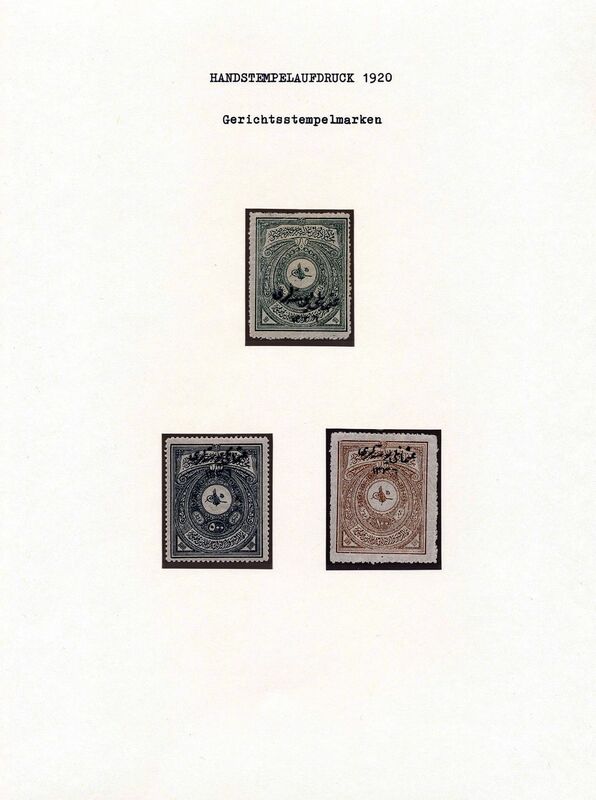 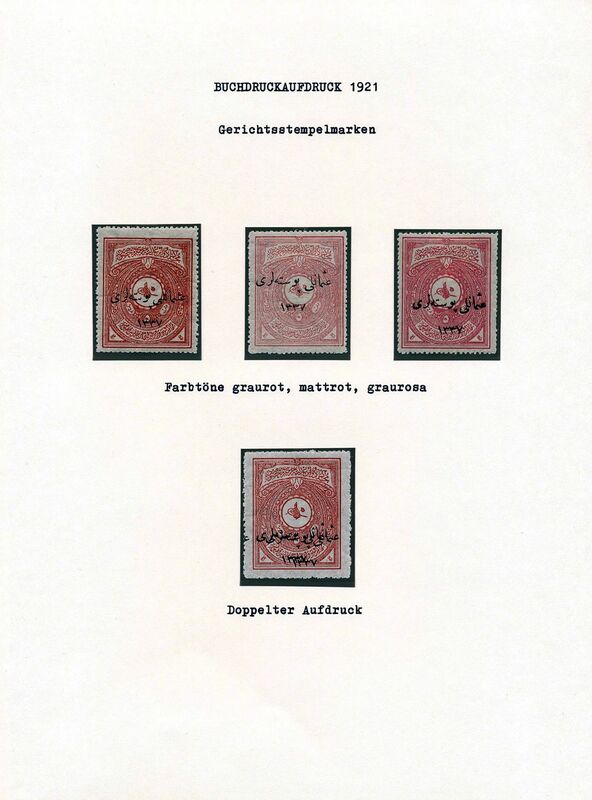 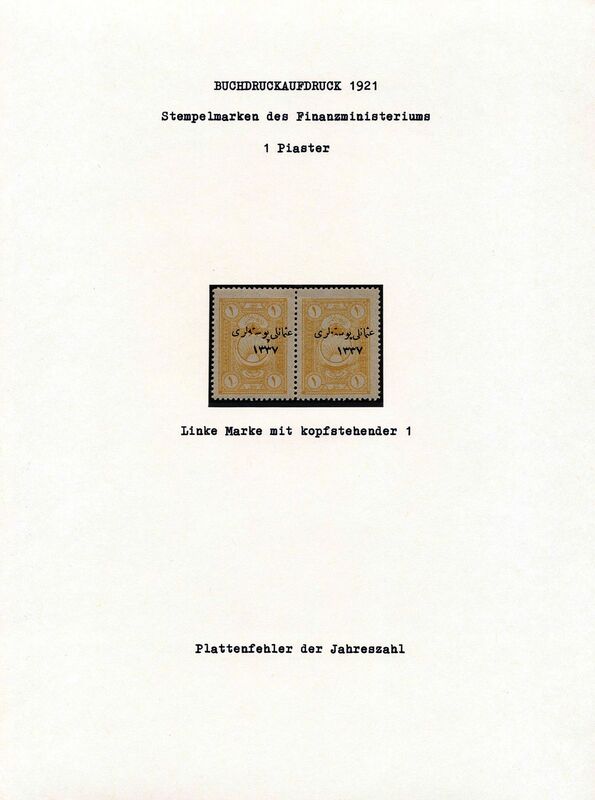 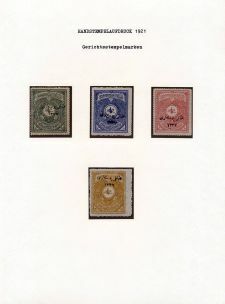 First three ANKARA surcharged issues specialized on 15 pages with blocks of four, very rare tete-beche pairs and pairs with and without surcharge. 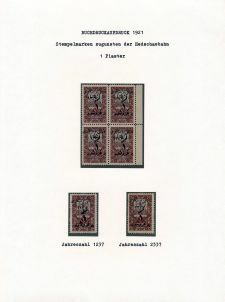 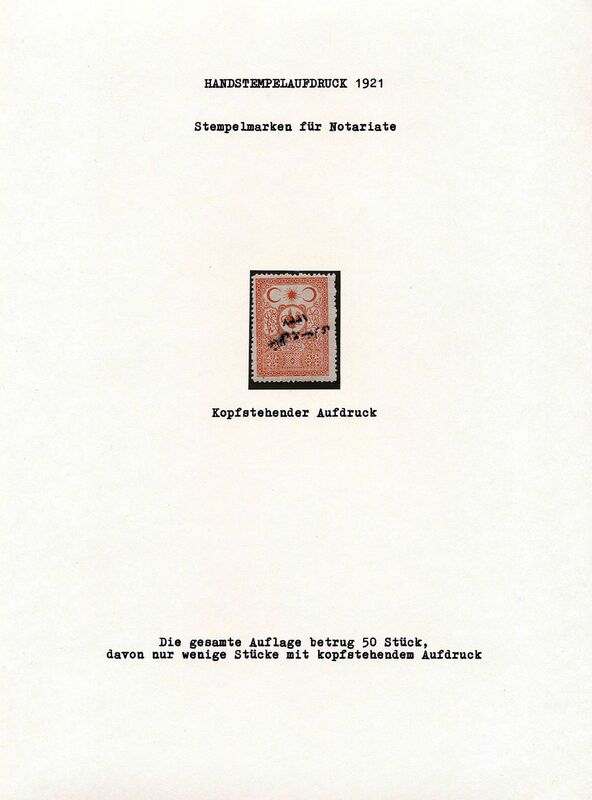 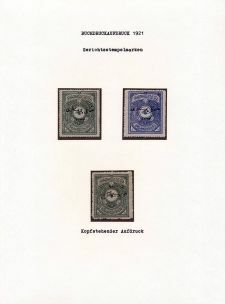 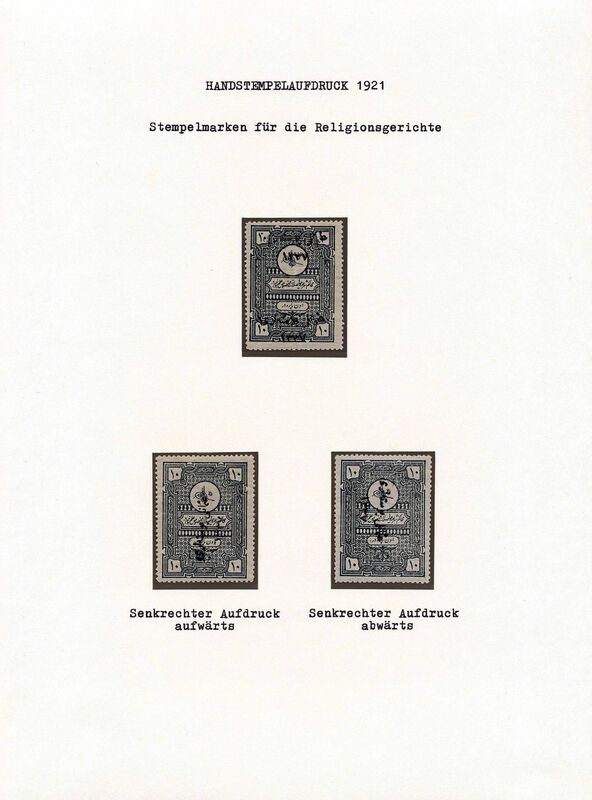 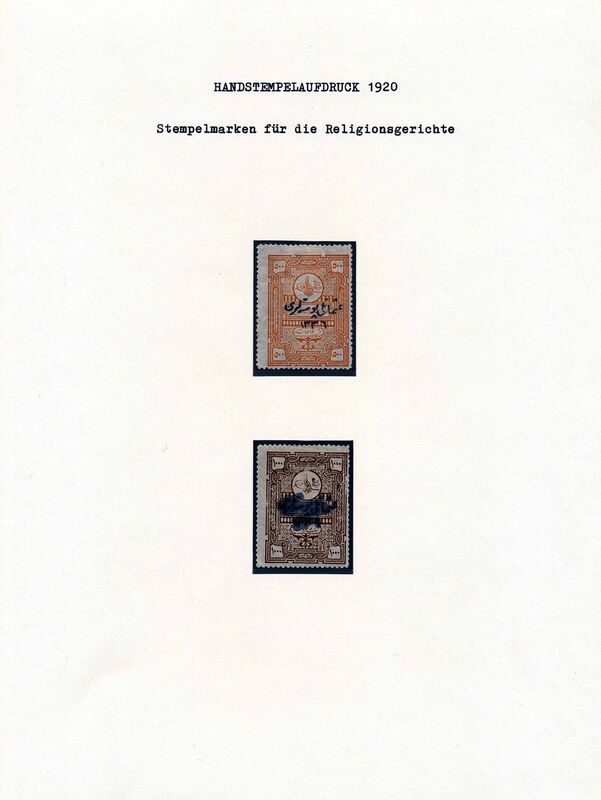 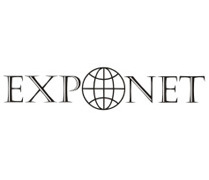 Collections complete catalogue value approximate 260.000 Euro. 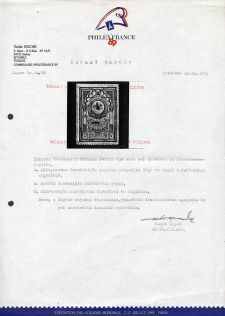 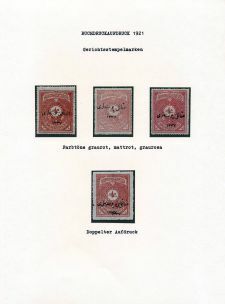 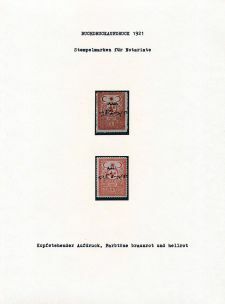 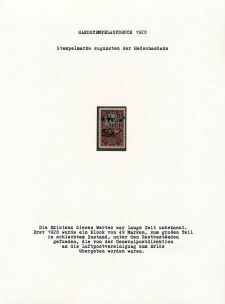 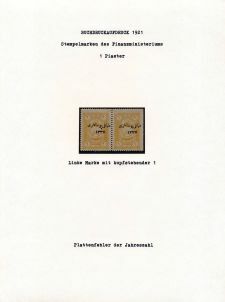 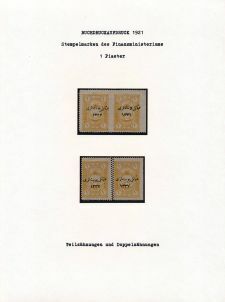 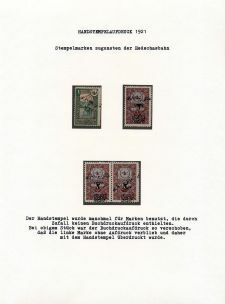 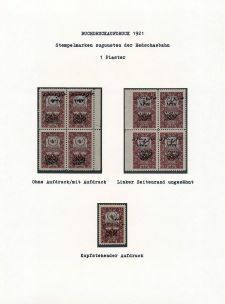 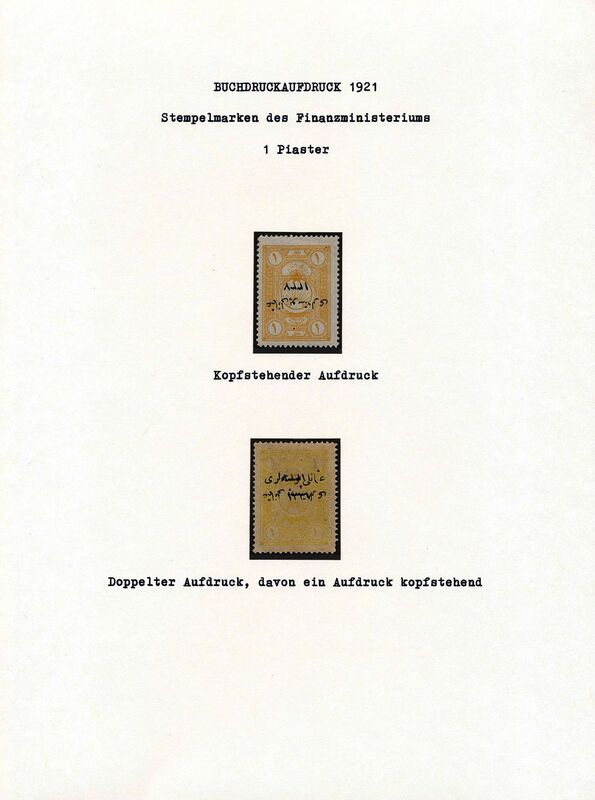 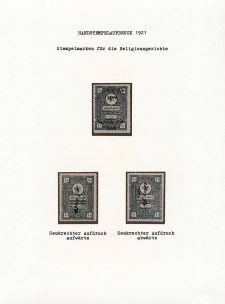 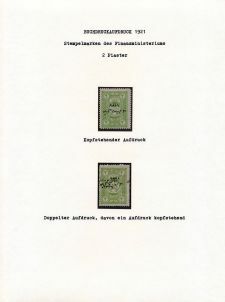 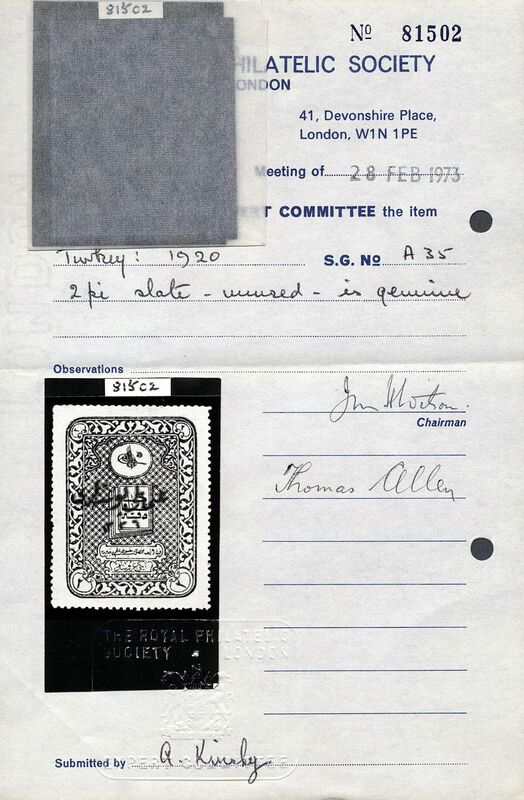 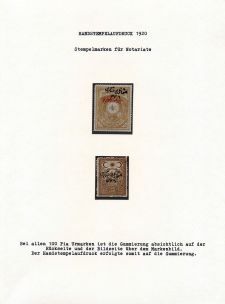 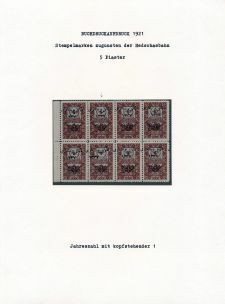 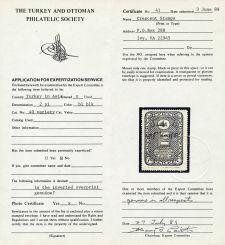 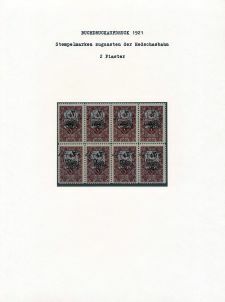 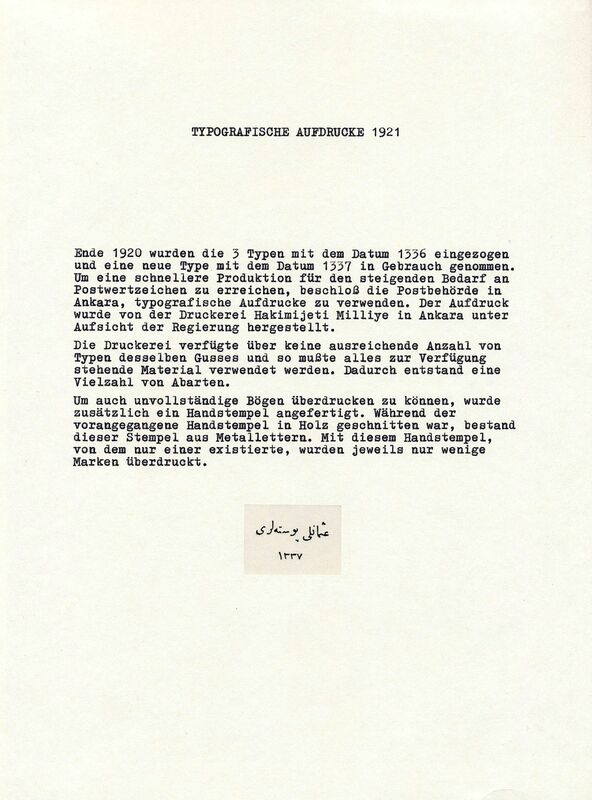 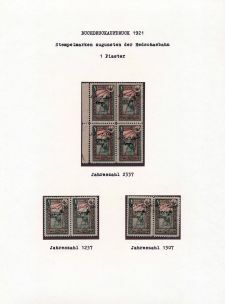 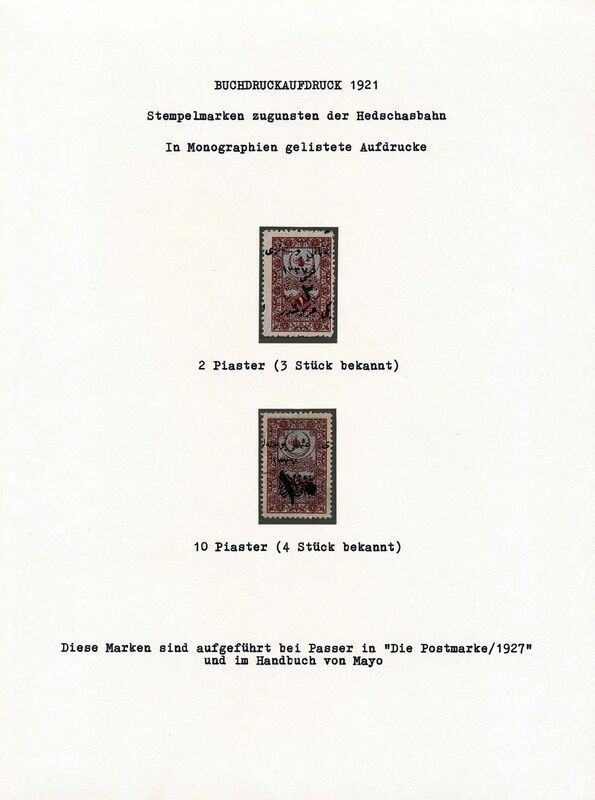 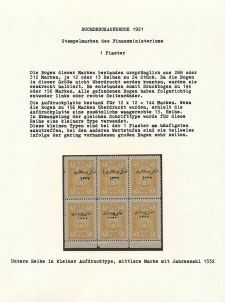 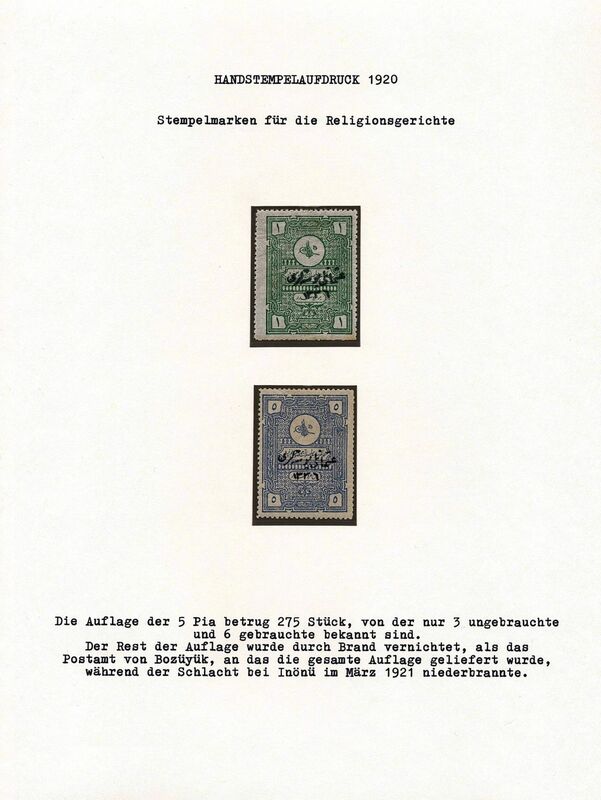 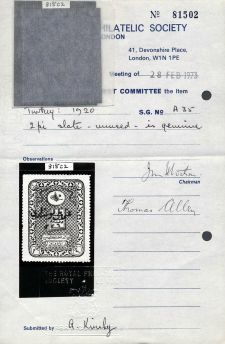 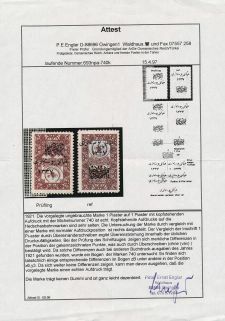 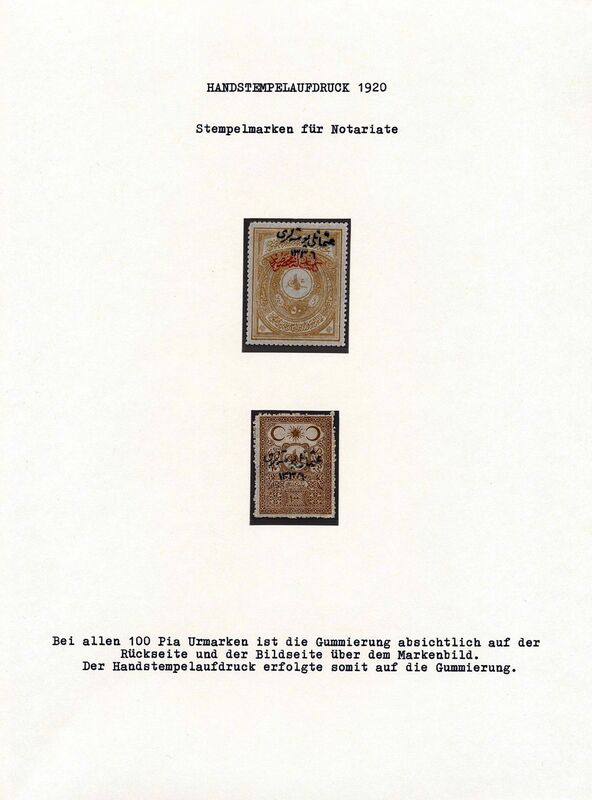 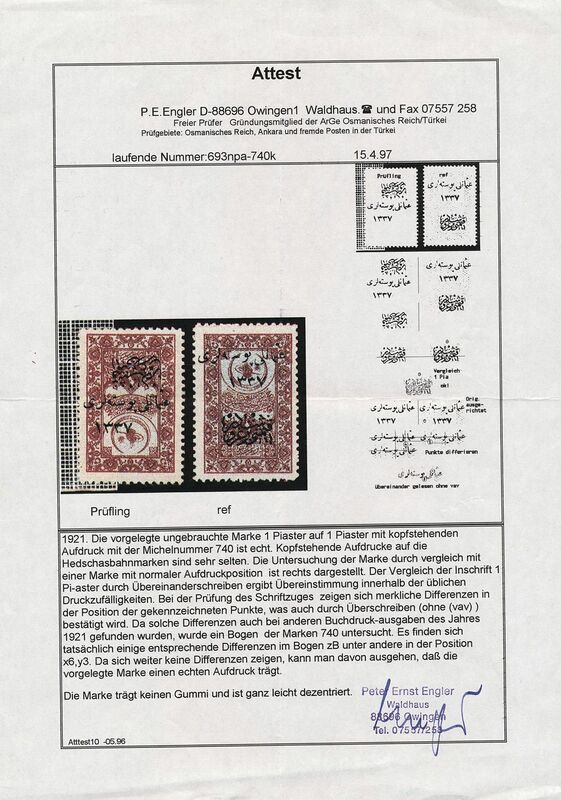 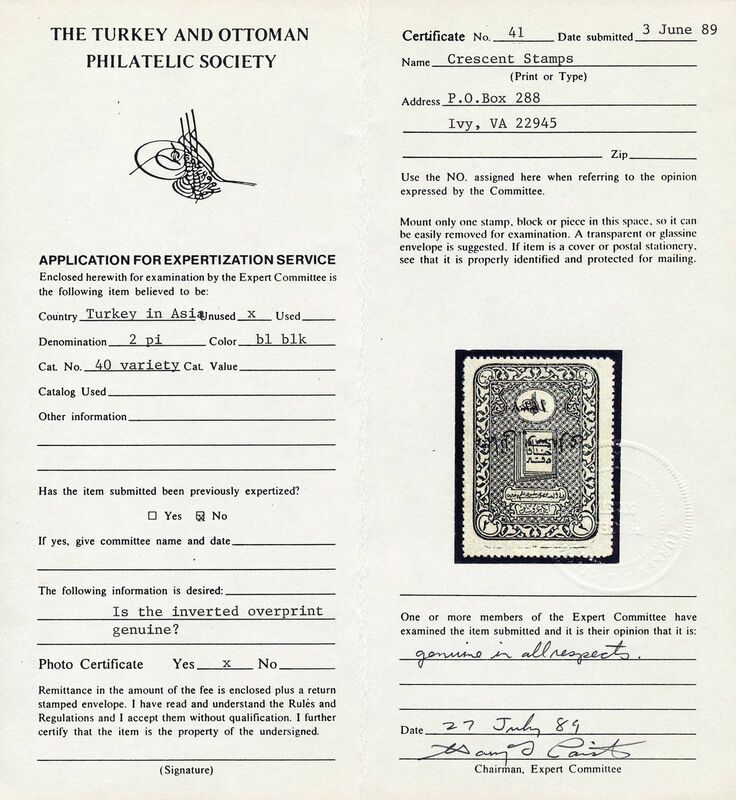 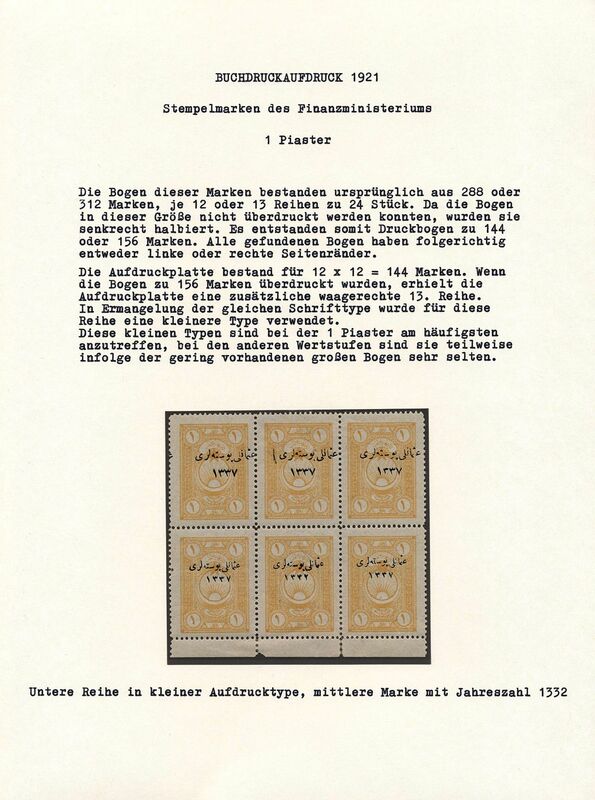 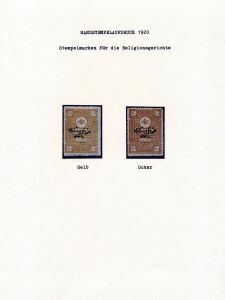 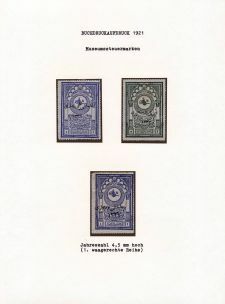 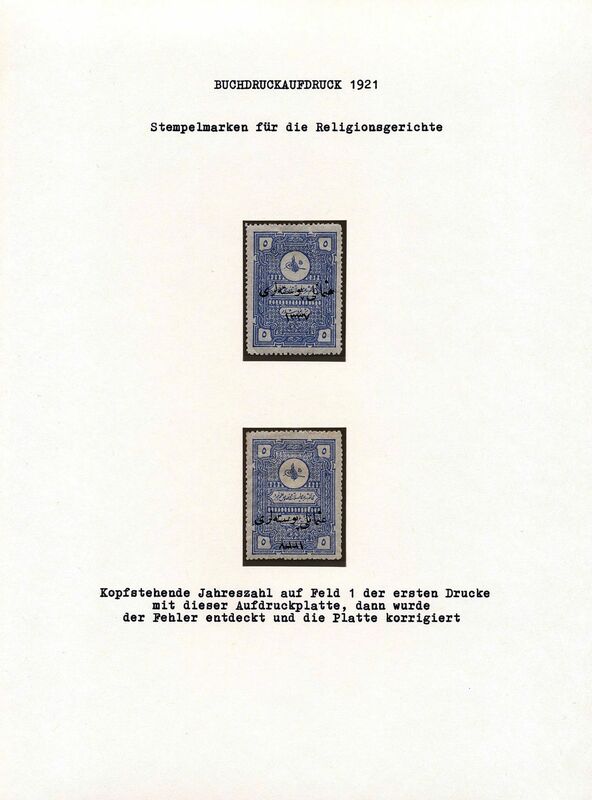 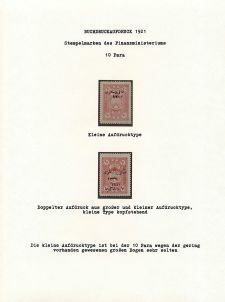 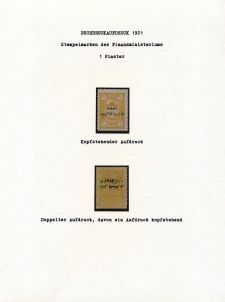 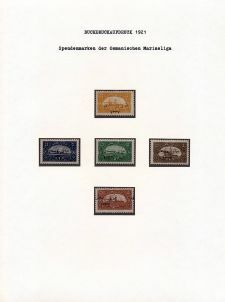 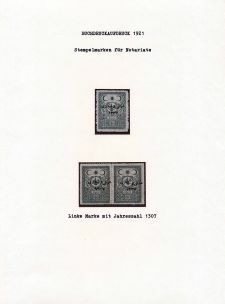 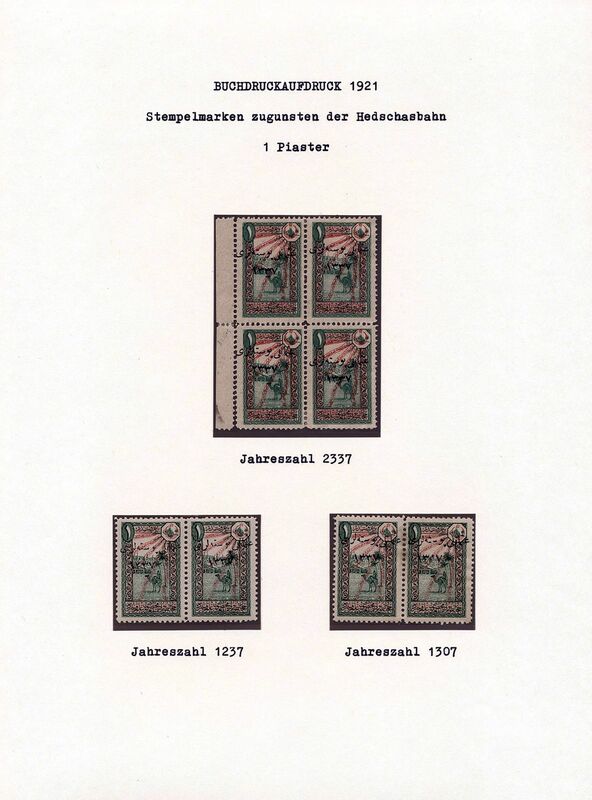 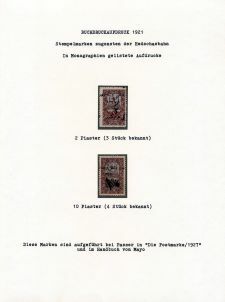 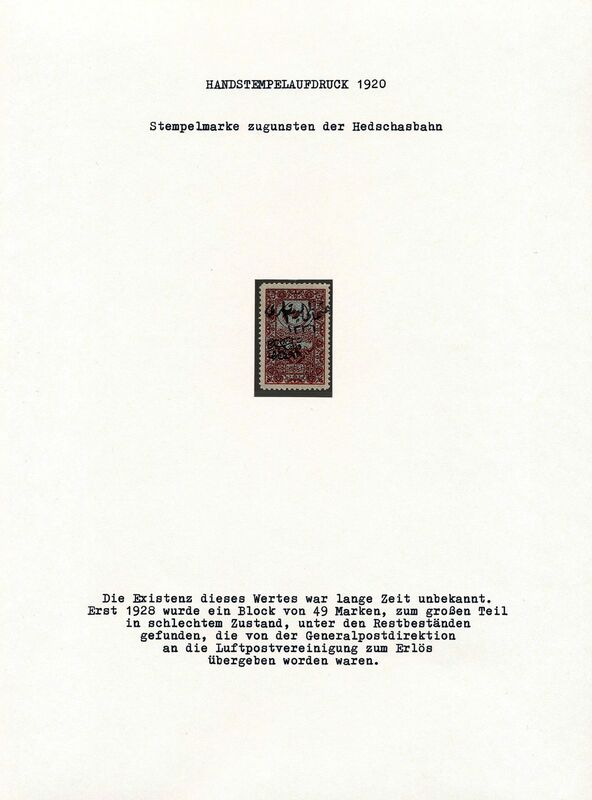 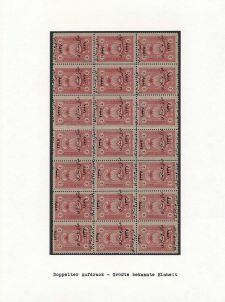 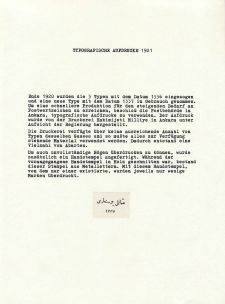 All important stamps have excellent provenience like Passer, Beraha, Kuyas, Nouri, Richter, Engler, Kinski, Alanyali, Plantinga, are signed / expertised, 4 certificates RPS, Paiste, Engler and Kocak. 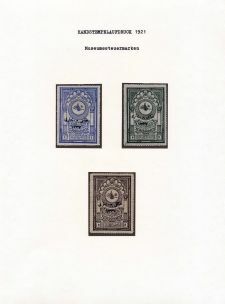 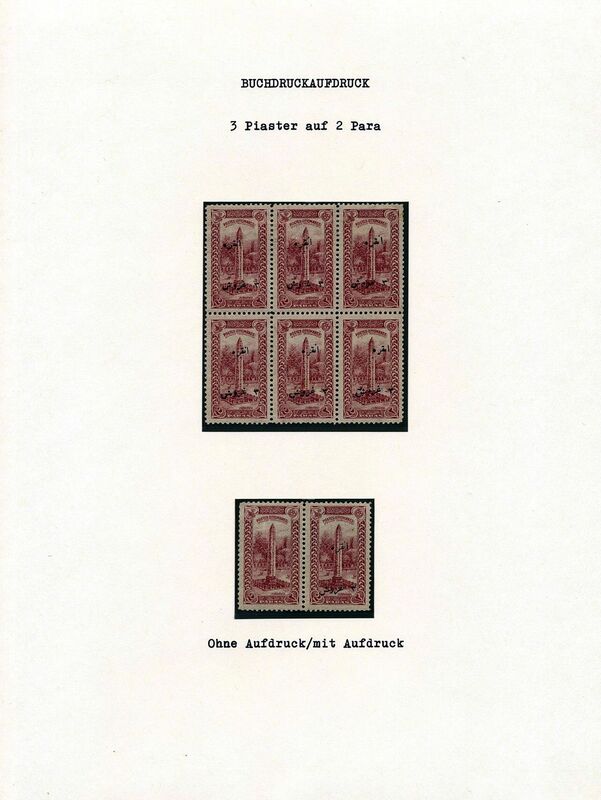 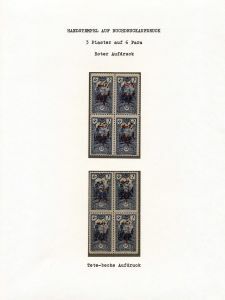 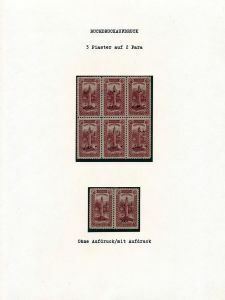 This is a delightful collection to view and describe, boasting many stamps that are typically absent in most collections. 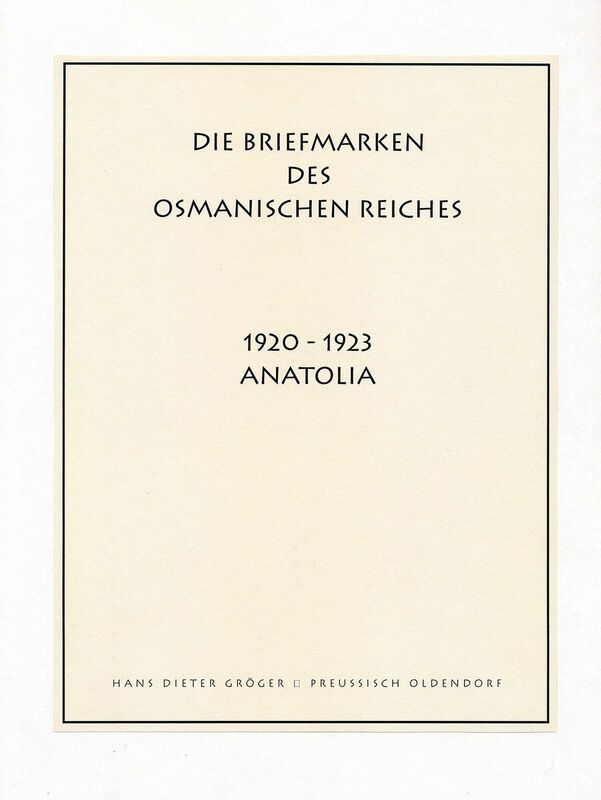 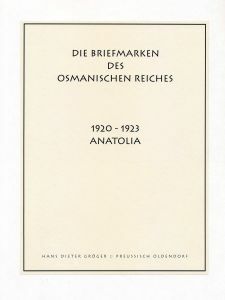 Overall one of the world ́s best collections ever build of th is difficult area during Turkey ́s War of Independence!